9x12, xxvi + 169 pp. 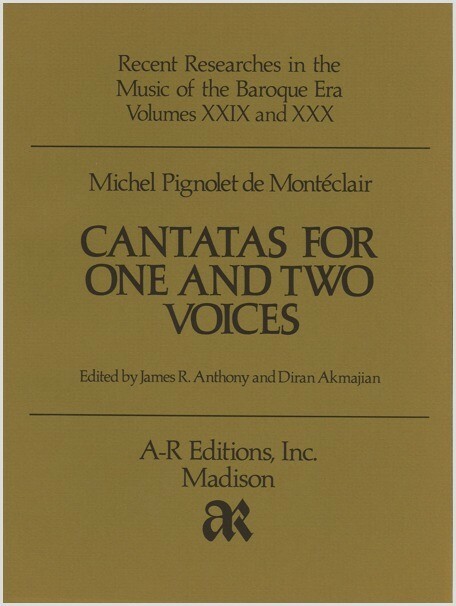 These volumes present one Italian and eight French cantatas from Book III (1728) by Montéclair, who was best known for his biblical opera, Jephté. Five of these have parts for one or more obbligato instruments (violins or flutes). The edition also includes a translation of Montéclair's section on vocal ornamentation from his Principes de musique divisez en quatre parties (1736). Edward Higginbottom, Notes, December 1982.